The fear of every corporate executive is when sensitive, private company information is compromised. You hear about these stories every couple of weeks. It’s one thing to have your company’s information compromised from the outside, or to have an insider help to hijack your sensitive information. It’s an entirely different “thing” to have your information lost due to stupidity. How easy is it to lose your sensitive data? It’s as easy as misplacing it! Today with the use of portable USB Flash Memory your company’s sensitive data is probably spread out on 1000s of these devices being carried around by 100s of your company’s employees. You get the picture, everyone has about 2 or 3 different USB flash memory devices in their possession and they often mix work, school, and their own personal information on EACH device. Now that we know you have the picture in your mind (or to say it another way you KNOW you have a data problem) what are you going to do about it? Here are 8 simple rules you need to implement concerning these devices this Monday morning. 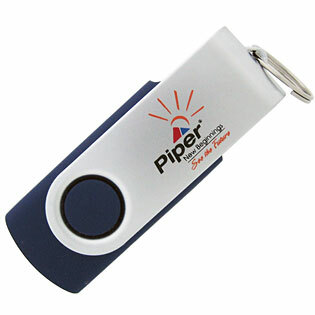 Ask your USB Flash Memory supplier to imprint your logo on every device. Have your supplier “serialize” every unit and set up a process internally to record which employee is responsible for which device. 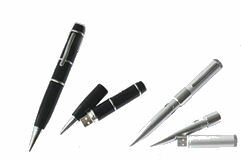 Have your supplier password protect each device. Don’t just password protect a portion of the drive by partitioning it, protect the entire drive. If you don’t do this your employees will use the unprotected portion – every time. For “super secret” information have your supplier implement a data encryption service on the drive. Outlaw with immediate disciplinary action all non-company memory devices. Create a data destruction action plan just like you have for your sensitive paper documents that you are currently shredding through an outside vendor. Put your data plan in writing, train your employees on the plan, and have them literally sign off on the plan. If you are looking for a company for the custom logo imprint, serialization, password protection, and encryption my advice is to look at JDP Digital, Inc. They have been doing this type of work since 2001 for the USB Flash Memory community. David Peterson – President: Atlanta Sales and Consulting. I have a member of my local Chamber of Commerce for about a year. On top of that I am also a member of a few other network group including an inventors group. I would say that I do spend a tremendous amount of time networking. Networking is a great place to find leads, however being in the sales training and consulting business like I am for a number of businesses it may not produce enough leads. Some businesses need to cast a wider net. As an example my own Sales Training in Atlanta classes need a larger net than just the Chamber of Commerce. The reason, most of these businesses are fairly small in terms of the number of sales representatives employed. The Chamber is an excellent source for me to find vendors. I have found a bunch of vendors that are now doing everything from producing my business cards to checking on the insurance premiums for my local Home Owners Association. But for producing leads to support my Sales Training in Atlanta that particular group isn’t a great fit. Also I have notice that a lot of the members understand this point… most local business need more leads. The traditional place for local lead generation has been the yellow pages, but with so many people turning to the web for everyday products and services the old yellow pages is quickly losing its luster. The new tool for local lead production is local search. Local search is a method of Search Engine Optimization or SEO that allows your website to be found when someone types in a service you provide in your local area. As an example here is one that my Atlanta Internet Marketing company produced for a Remodeler in Lawrenceville, GA. I created a site called RemodelingLawrenceville.com and then submitted it to Yahoo.com. The result… my local customer in Lawrenceville is now #1 on that search term. Google and Bing will ultimately pick up on this keyword search term as well. It takes time to produce a good local leads using SEO practices but it can be done and should be done as the Internet quickly replaces the phone book and its yellow pages. Comments Off on Did you leave something behind? Conducting classes on sales training in Atlanta, GA I get a chance to hear and see a variety of sales techniques. I have mentioned before that often times these techniques are lacking some basic fundamentals. This isn’t to say that everyone is lacking the fundamentals but on average or collectively there are a few things that most average reps miss. Here’s one: Did you leave something behind on your last sales call? There is an entire industry dedicated to you leaving something behind. This industry is huge, typically made up of small mom and pop shops that cater to local businesses. The industry is called… Advertising Specialty. The entire industry is built on the premise that you need to leave something behind in order to be remembered. Now salespeople in general can be a bit arrogant and they often think that their 1st impression is enough to guarantee a callback. I beg to differ. It’s not that the sales call didn’t go well, it could have gone terrific. But in the hectic world we live in today the purchasing manager you just met might remember that you had a solution to his/her problem but that is about all they remembered. Here’s a great example to prove that point, how many follow up calls have you made in which you find yourself starting at the beginning of the conversation. As an ex-sales manager I know I have heard enough of them. So leave something behind to help you be remembered. These don’t have to be expensive they just have to be useful. One of my favorites is USB Flash Memory. These little devices run around $10/each for a 1GB model and everyone needs them. If $10 is a bit much try a Water Bottle Carrier. These little things run around $3 each and secure your water bottle while you are exercising. What makes advertising specialty items terrific is… you get to place your logo, phone number and web address on EACH unit. On your next sales call leave something behind. You, your company and your products need to standout. If you have a marketing budget try one of these advertising specialty items. David Peterson: President Atlanta Sales and Consulting. He conducts classes on sales training in Atlanta, GA. Slowly but surely, majority of businesses now understand the importance of marketing. Even the businesses with minimum resources are aware of the concept and significance of marketing. But there’s one thing that still goes without being noticed by many of them, that is advertising effectiveness. Many businesses have no idea on how to measure the success of their marketing campaigns. As a result, they keep running advertisements and marketing campaigns without really knowing if it is effectively working or not. Keeping a check on your advertising effectiveness is very important, or you may be wasting your resources on something useless, without even knowing it. On the other hand, measuring the accomplishment of your advertisement or marketing initiative is not as simple as measuring the increase in sales or inquiries. How do we know if a commercial is effective or not? A commercial that turns out to be extremely popular, doesn’t guarantee to be effective. For the reason, that the effectiveness of a commercial can be judged by evaluating its achievements and not by the hilarity in it. Therefore, if a commercial or any other marketing material that was meant to bring in more customers or to build a strong brand image is not effective unless there’s a positive change in the number of enquiries or the brand awareness. In fact, sometimes the storyline gets so interesting that it overrides the intended message in customer’s minds. It is very important to jot down goals or objectives before initiating a marketing campaign. Most of the time, advertisement is targeted at generating sales but other equally important targets could be customer loyalty, product awareness, persuading customers or brand recognition. When setting objectives, make sure these are unambiguous and measurable, especially if you are delegating the project to some outside company. Many companies test their ads or infomercials on a sample group of targeted customers to see the reaction. For small businesses that may not be possible but you can get the help from your family members or friends and ask for their opinion, the earlier you spot an ineffective medium, the better. If, after spending plenty of time and resources the end result is not impressive, don’t waste more resources in distributing, publishing or making it public. Getting the accurate feedback is the key to constructive evaluation. Also, if you are trying to asses on the basis of increase in sales or revenue, don’t rush into the process as soon as the commercial goes on air; you need to give it some time to develop. William King is the director of UK Wholesale Suppliers, Distributors Dropshippers and Wholesale Trade Suppliers, Dropshippers Distributors. He has 18 years of experience in the marketing and trading industries and has been helping retailers and startups with their product sourcing, promotion, marketing and supply chain requirements. Are Third Party Sales Leads Killing Your Brand? In an effort to grow their businesses faster, and simplify the marketing process, Sales and Marketing Managers have succumbed to the simplicity of acquiring third party sales leads. But what are you giving up when you no longer generate your own leads? The consequences may be more severe than you know. Whenever a web-based sales lead is generated, somebody, somewhere, had to visit a website and fill out a form. The question is, whose website is it? Which website is being branded? When a company relies too heavily on third party leads, they forego their own branding in favor of the third party website. Today, there are countless companies that have no web identity, because their websites are not actively marketed to generate sales. While third party sales leads provide a simple and quick solution for generating sales, you should not abandon hope of generating leads yourself. When you generate your own lead, your money goes much further than you may think. By marketing your company, you brand your company. People remember your links, bookmark your website, pass on your email, and recommend your company. When you are fully vested in third party leads, you loose the enormous benefit of establishing an online identity. So what is the big deal about generating your own sales lead? What is really happening with your third party sales lead? When a lead is generated you get your copy, but does someone else also get your copy? Is your lead resold after it has aged? Will some email house in China start sending spam to your leads? Odds are, your sales leads are not as unique as you think. When was the last time a third party sales lead made your phone ring? Imagine, for example, that 10% of your leads convert to a genuine sale. What happens to the other 90%? Many of these people simply are not quite ready to buy, or they are shopping around. When they are ready to buy, do you want them to come back to you, or go back to the third party website where they originally submitted their request? When friends or family members recommend websites and pass on links to each other, is it your link, or a 3rd party website link? Who gets the bookmark? Through branding effects and peer recommendations, a moderate volume of sales leads can be generated for free with a higher closing-ratio than non-referred leads. What value does your website have? Does it do anything more than show your office hours and a contact phone number? If you tried to sell your company, would your website be an asset? Do your sales leads accommodate you, or do you accommodate the leads? If you generate your own lead, from your own website, you can collect any information that you need, in any fashion that you need it. Give your sales team information that they can really use to size up a prospect, rather than giving them the information that someone else thinks that they need. The answer is that you probably do need third party sales leads, but you also need to generate your own leads. Depending on the size of your company, it may be a daunting task to acquire all of your leads by yourself. Third party leads should only supplement your self-generate leads, and not vice versa. Easier said than done? Not really… turn to search. (1) The nature of web search yields a high-interest sales lead. This is not a casual click, the potential customer is actively seeking your services. (2) When friends recommend websites and pass on links, it is your link and not the 3rd party web link. Through branding effects and peer recommendations, a moderate volume of leads will be generated at no cost. (3) The website that customers look at should have the same message and company name that is used by the sales rep., reducing customer confusion, and increasing closing rates. (4) Search-based PPC campaigns are completely flexible and can be turned on or off, or scaled up or down, almost instantly. You can turn PPC campaigns off over the weekend or holidays, when your sales floor is unavailable. There are no minimum budget requirements, campaign durations, or prepay. So your website is not a conversion funnel? Have your web design team build a custom website for your company, mimicking the basic colors, layout, logos, etc. of your primary corporate website. This can be a near-duplicate of your primary corporate website, but suited to convert search engine traffic, and it can be just a few pages in size. This micro-site can be a canonical domain or sub directory of your primary website, or a new domain all-together, whichever works best for you and your designers. Next, you can begin to build PPC campaigns with your favorite search engines, such as Google, Bing, and Yahoo. Start off conservatively, so that lead costs do not get out of control. Before long, the inquiries coming off of your own website will become the most coveted by your sales team. Your phone will start ringing, as visitors to your lead generation website make inbound phone calls as well as generate web-based leads. People will start to bookmark your website, and sales based on referrals will pick up. As long as you’re going to be spending money generating sales leads, why not also brand your company and let your money go further? Put yourself in the spotlight, and wedge out your own place on the web. Chris W. Sharp is the founder and President of SharpNET Solutions, and industry leading Internet markering company since 1999. You can visit SharpNET’s corporate website for additional articles and Internet marketing services at http://www.sharpnetsolutions.com. I have been a full-time online marketer for over 5 years now, and I run 9 or 10 sites on the wwww – wonderful world wide web. I make a very respectable living and I enjoy every minute of it. But if you’re under the impression that all you have to do is to slap some content together and place it on a web site and watch the money roll in; then you are sadly mistaken. Don’t get the wrong impression, you can become a successful online marketer, but it will take a lot of time and work on your part. It just doesn’t happen overnight, at least, this has been my experience and we can only write about our own experiences and views. Over the years, I have also found it helpful to get pointers from someone who is actually doing what we want to do. So below I have put together 7 Tips for becoming a successful online marketer. The whole concept of online marketing may seem quite simple, just place some content or product onto a website and you’re in business. The reality is quite different. It may take you years to learn all the complex techniques and tactics to compete in the online marketplace, which is becoming more and more competitive as more companies and individuals discover its great potential. Sure we have all heard stories of people who come up with a great idea and make an online fortune very quickly. People also win the lottery… but if you want to become a successful online marketer you first have to learn your trade. You have to acquire all the knowledge you can on Internet Marketing. Read articles and ebooks, take online e-courses, study and examine successful websites and/or marketers… there is a wealth of marketing information on the web. Just find it and use it. When I was first learning all the ropes, I made tons of mistakes but I was fortunate enough to come into contact with some successful online marketers who were actually doing what I wanted to do. People like Marlon Sanders, Ken Evoy, Corey Rudl, Neil Shearing, Brad Callens… I quickly became acquainted with these individuals and learned everything I could from them. This was not out of the ordinary or hard to accomplish, since all these marketers have comprehensive affiliate training programs to show even the most novice webmaster or marketer the ropes, most of these programs are free because these marketers want to teach you how to sell their products. This is a very simple way to get a quick education on how to market online. I personally liked the numerous free ebooks offered thru Ken Evoy’s SiteSell program… many of these will drive you bonkers, especially if you’re new at this game, but only because they are so comprehensive and thorough – all the information can be a little overwhelming to say the least. But if you can work you way through some of SiteSell’s free marketing manuals and ebooks, you will get the basic knowledge to further your goal of becoming an online marketer. Unless you already have a product or business you wish to market online, then your first task will be finding a good niche market or subject which you can explore and exploit on the web. Best advice, find something that you already have a strong interest in such as a favorite hobby or past-time, an area where you already have special training or something you always wanted to study and examine. This niche market or subject will take up countless hours of your time, so you have to really pick something you like doing. The major point here, if you’re doing something you like, it won’t seem like work. No matter which subject area you choose, you must check out the commercial viability of your topic. In other words, if you want to be successful, there must be enough commercial interest in your market or subject. There must be enough people searching for your product each month so that it’s viable. Use a program like WordTracker or Google Adwords Keyword Tool to find the number of searches made each month for a keyword. Keywords are words or phrases web users type into search engines to find what they’re looking for on the web. You must have plenty of good searchable keywords relating to your subject in order for it to be workable. Google is the most important player on the web. While you shouldn’t ignore the other search engines, I would suggest you learn everything you can about how Google both indexes and ranks pages on the web. Getting a number one or even a top 5 listing for your chosen keywords in Google, can make or break your online business. Google simply sends/controls the majority of the quality search traffic on the web, get those top rankings in Google and you will succeed. Now Google gives webmasters many valuable webmaster tools and devotes a whole section to help webmasters with their sites. One valuable resource which is loaded with helpful information is Google Webmaster Tools. Use it! Also, if you’re just starting out, another good resource is Google’s “Search Engine Optimization Starter Guide”, which is a handy pdf file you can download. Always, keep in mind, Google is only like any other company supplying a product and in this case the product is their SERPs (Search Engine Results Pages), so the higher the quality of your content and pages – the higher your rankings in Google will be. Of course, seasoned webmasters know quality one-way backlinks is one of the most important keys to getting high rankings in Google. But it all comes back to quality, if you have quality content, people will bookmark it in all the social media sites, and related webmasters will link to your quality content. This does really happen, so creating high quality content should be your first and most important SEO strategy. Regardless of what kind of site you’re building, you must follow some very simple SEO rules. Make sure your site’s structure can be easily navigated by both your visitors and the search engines. Try to keep your site’s hierarchy simple, with all your pages reachable from the home page. Most webmasters only use three levels – homepage, topics and sub-topics – with all pages linking back to your homepage and no more than 3 clicks away from it. It is also a good idea to have a sitemap link on each page so that you don’t leave your visitors stranded. Check with Google’s Starter Guide for more information on how to create a proper lay-out. Personally, as an online marketer I seek out the top searched for keywords in my niche, and then create pages around that keyword or keyword phrase. This ensures you’re getting targeted visitors/customers to your pages. You can have hundreds of these keyworded pages on your site and connect all these pages together in a thematic arrangement so that the search engines can easily find and rank them. As for choosing a domain name, I also try to get my main targeted keyword in the domain. This helps tremendously with your search engine rankings because every backlink will have your main keyword in the URL. This will tell the search engines exactly what your site is about. Again, if you’re brand new at this, I would suggest you use a program like WordPress, which is free blogging software you can use to create a blog site. Another option, is to purchase or buy a SiteBuildIt hosting package from SiteSell, but this is more than just hosting, it’s a complete online marketing system you can use. It will take you step-by-step through the whole creation and marketing of your site or business on the web. This is probably the hardest part of online marketing, but it is something which is essential to its success. Too many webmasters/marketers build a fantastic site and then sit around and wait for the visitors/customers to pour in. Sad fact is, unless you actually get out there and promote your site you will get very little, if any traffic. Of course, there are exceptions, some sites instantly attract visitors and acquire countless backlinks just by word of mouth, but for the most part this simply doesn’t happen. You have to actively promote your site and URL. One method that I use is article marketing – writing simple helpful articles and distributing them all over the web. These articles have keyworded links back to your site. Simple and effective way to get your site out there. Another free way to promote your site is to tie it in with all the social media and bookmarking sites, so use Twitter, Facebook, MySpace, YouTube… to promote your site. Videos also have become very effective recently and you should be taking advantage of their great potential. So too is using a simple social bookmark program like the Addthis Button, which lets your visitors bookmark and build your backlinks for you. Google seems to be paying special attention to how many social bookmarks/links your site is receiving. It is a simple form of voting for the quality of your content if actual web users see it and bookmark/recommend it to their friends. The more Tweets, Diggs… your content gets, the higher it will rank in the search engines, besides all those links bring in targeted traffic, which is what you want. There are countless way to monetize or make money from your website once you have a steady flow of traffic coming to your site. We are not talking about tons of traffic here, a site getting just 100 or 200 visitors a day can prove very profitable. Personally, I like choosing affiliate programs which give a residual or have a re-occurring element to their payments. Make one sale and get paid for years to come, I am still receiving monthly payments from sales I made 5 years ago. So if you decide to place affiliate links on your pages, try to go with a company or program which gives you residual income for the life of the referred customer. I also like promoting high-end affiliate products simply because the commissions are obviously higher. Why sell a $20 item, when you can sell a $2000 one? Of course, there are countless strategies to marketing online, if you sell 100’s of that $20 item, you still end up in the same place. As for finding affiliate products to promote I like using the major affiliate networks like Commission Junction, LinkShare, Shareasale, ClickBank, Affiliate Window… these networks are totally professional, do all your tracking and give you valuable information on how to market online. Another very simple way to monetize your pages is to use Google Adsense, now the payments won’t be as high as with promoting affiliate products but using Adsense is a simple and quick way to monetize all your pages. I also find Adsense very consistent and totally reliable, besides getting that check from Google each month, always puts a smile on my face. Another major key to online marketing success is having extensive tracking in place. You must track where your visitors are coming from and what keywords they’re using to find your site. And what they do once they hit your site. I like using Google Analytics for tracking all my content but I don’t just depend on Analytics, I also use all hosting stats such as Awstats, Webalizer… I also regularly check my site’s traffic logs and daily visitors. All this tracking tells me what’s working and more importantly, what’s not working. Check your bounce rate and the amount of time people spend on your site as these are more than likely ranking factors. Also check how fast your site loads, Google is said to be making this another ranking factor which they use to rank your pages. Carefully reading of your site’s stats and logs will show you which keywords are profitable and making you money. Then you have to simply fine-tune your marketing to target those lucrative keywords or phrases. Keep building your rankings for those keywords over a period of time and you will be successful. I couldn’t finish this article without mentioning another key element to succeeding on the web – persistence. Maybe it’s just me, but it took me around three years before any of my sites became really profitable. Now most marketers and webmasters become profitable in much shorter periods, but I still believe it takes time to build a solid online business. It takes time to build up your customer base, it takes time to build up your rankings in all the search engines. Guess, what I am saying is this: if you expect overnight success, you’re setting yourself up for disappointment. But if you take a long-term strategy and build your site and marketing up over a matter of months, more likely years, then you have a much better chance of becoming successful. Mainly because, you’re not just building a site, you’re building an online business that will take some time to become established and it may even take more time to become prosperous. Be persistent and you will succeed.